I started watching the HBO series a couple of months ago and it put me in the mood to read the books. So far everything seems to be similar which is a huge relief to know that Hollywood didn't deviate too much from the storyline. I love Tyrion Lannister, both in the TV series and in the book, so it was only appropriate to quote him this time. Have any of you read this series or watched the HBO version? Let me know what you think of it and who your favorite character or characters are! If you have a teaser, leave me a link below and I'll be sure to check it out! I am watching the HBO series and have the first two books on my Kindle though I haven't started them yet. Tyrion is also my favorite character on the show - though I have to admit that among the women my favorites are Daenerys Targaryan and Arya Stark. Great teaser! I haven't read this book or seen the series yet (though I really want to) but it sounds really awesome! Hiya Stephanie! I hope you get the chance to either watch the series or read it or both. It's amazing! Thanks for stopping by! Hey Heidi! I'm loving the book so far. I've been pacing myself, though, so I don't get too overwhelmed reading it. And I can't get enough of the HBO series...so incredible! Glad you could stop by! Excellent teaser and so true! This sounds like a book I'd enjoy. My Teaser is from BLUEBONNET BRIDE. If you have a chance, definitely check it out! It's been enjoyable so far, but I would recommend pacing yourself since it's such a large book to get through and there's so much going on! Thanks for stopping by! That's a great teaser! I tried to read this one several years ago but couldn't get into it. Perhaps it's time to give it another go. Hi Melissa! It might be worth giving the book another try. But it's certainly not for everyone. I had the book on my To Read list for a long time but kept hesitating on buying it and reading it. 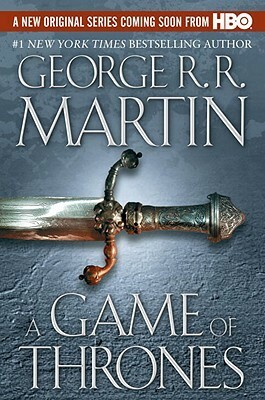 Then I started watching the HBO series and that's what convinced me to finally give the book a shot. :) Thanks for stopping by!